Looking at the test results with discharge of both battery types with the same settings under different constant current loads we can see very similar performance and results, though there are some slight differences we can conclude that it is very highly likely that they are being made in the same place. 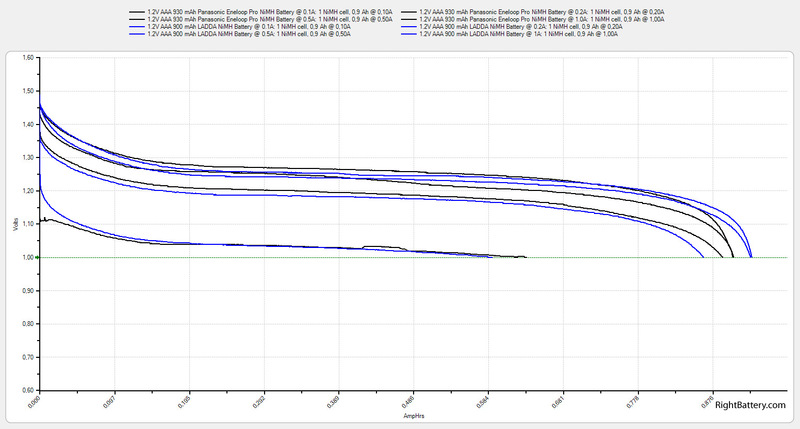 The IKEA LADDA batteries managed to give us a bit higher capacity at lower discharge rates (0.1A and 0.2A), but fell behind a bit at higher loads (0.5A and 1.0A). 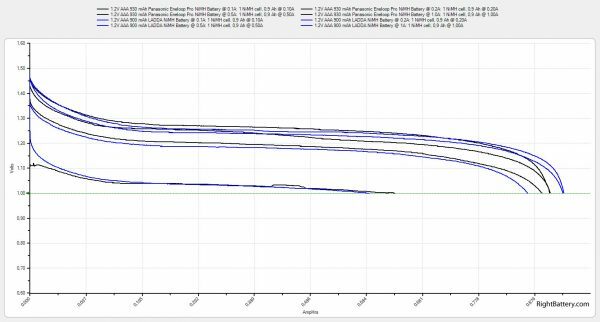 Looking at the discharge curves we see a very similar pattern for both the Eneloop Pro and the IKEA LADDA batteries and that along with the results makes us think that they are essentially the same thing, but produced for different companies and sold under different brands. Of course there could be more variance in the LADDA batteries if they are allowed a wider tolerance in production for example as they are rated at 900 mAh and since IKEA sells a lot without much of marketing going for a specific products like their batteries it could apparently manage a better price for what seems to be the same thing.